Netflix is making things better by making things worse with an all-new, low-quality streaming video option for the Canadian market and its tiny little download caps. New services from companies of just about any type are usually heralded as bigger, bolder and better than ever before. Not so with Netflix in Canada, however. For its customers in the Great White North, Netflix has launched a new, downgraded service that purports to use two-thirds less data on average with "minimal impact" on the quality of the video. 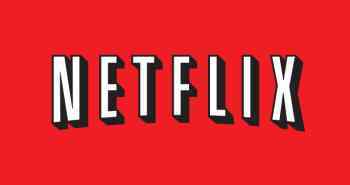 30 hours of Netflix will normally consume about 30 GB of data, the company said, and up to 70 GB if it's all in hi-def. Using the new "Canada Crapcast" option, however, and which for the record is not an official title, 30 hours of streaming will only eat about nine GB of Canadians' data allowance. "We made these changes because many Canadian internet service providers unfortunately enforce monthly caps on the total amount of data consumed," Netflix Chief Product Officer Neil Hunt said. "While there is some lessening of picture quality with these new settings, the experience continues to be great." Canadians will still have the option to stick with higher-quality, ie. normal, video streams if they prefer. Whether this new service will be made available to customers in the U.S. is unknown, but it's hard to imagine why they'd want it. For more information about Netflix's exciting new lo-def offering check out blog.netflix.com.